SUBIC BAY, Philippines (AFP) – US property tycoon Donald Trump is eyeing up a move to develop part of a new complex in the Philippine freeport of Subic Bay into a tourist centre, a Trump company official said Wednesday. 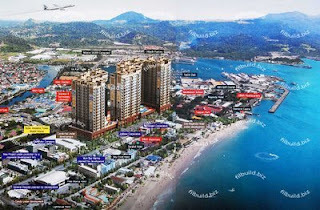 The flamboyant billionaire is looking at joining a South Korean company that is already building a major complex in Subic Bay, which is located north of Manila. Trump Organization executive vice-president Michael Cohen said he had met officials of the Heung-A Property Group to discuss the plan. He said the two sides were working on "a definitive agreement" where the Trump group would be a key developer of the beachfront but added that no formal accord had been signed.